I've been posting quite a few OOTD posts on Instagram lately (if you haven't seen them, go and check out twenty different Zara ensembles with a black blazer - I joke, there is a bit more variety than this..but not much!) so instead of doing an OOTD post as planned I've decided to share a few bits and bobs that I'm loving at the moment. So let's cut to the chase, I do really like it. I wanted to trial it for a good few weeks before I wrote a review on it but in my opinion, it is worth the £70 price tag. I treated myself with this after Christmas when my skin was looking tired and a bit sallow and I needed something to pep it up. I hadn't heard a lot about this cream so it was a bit of a gamble, but one I was prepared to take! 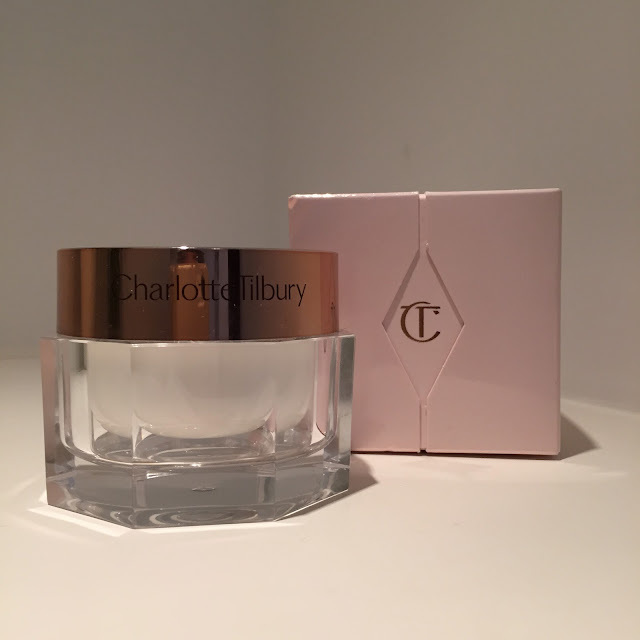 The packaging is gorgeous, in my eyes Charlotte Tilbury can do no wrong at the moment, every single product of hers I've tried, I adore and who doesn't want a pretty little rose gold pot on their dressing table? It looks expensive, which is what you want when you're forking out your hard earned cash on something like this!!! 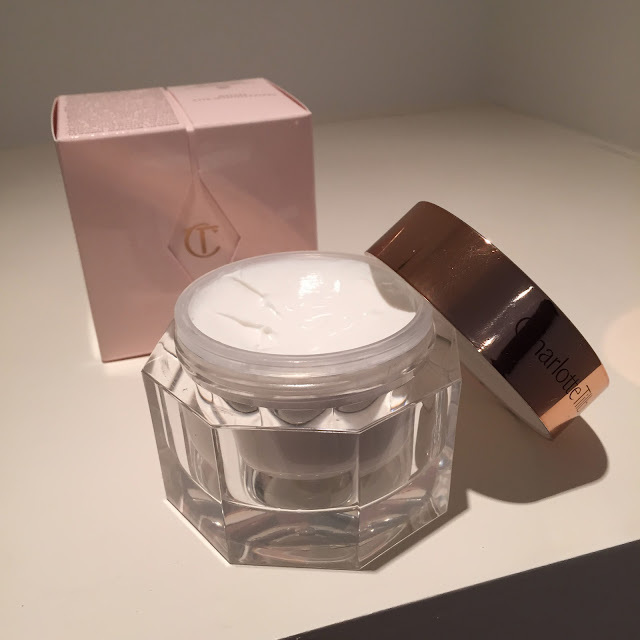 The cream itself feels thick and luxurious, as though it's definitely 'doing' something to your skin when you apply it and I like that feeling. It absorbs easily and leaves a gorgeous veil of softness on your face. I use it both in the morning prior to slapping on foundation and in the evening before bed and it works well in both situations. Perfect under make up, it doesn't feel heavy or oily and before bed it just seems to 'seal' in moisture and you wake up with lovely soft skin. I would definitely repurchase this. I've been using it twice daily for over 3 months now and I'm not even half way through the pot. I spotted someone wearing a lovely spring green eyeshadow with pink lips recently and turned to my trusty MAC palettes to try and recreate this look. MAC 'Shroom' and 'Sumptuous Olive' just look perfect paired together and I've been wearing them with MAC 'Please Me' Lipstick a lot with a bit of neutral gloss on top. Love. I posted this up on my Instagram a few days ago and a few of you asked me where I got it. I spotted it on Etsy and you can get it HERE . The frame will involve a trip to Ikea (sorry! not my favourite place either - but needs must sometimes!) 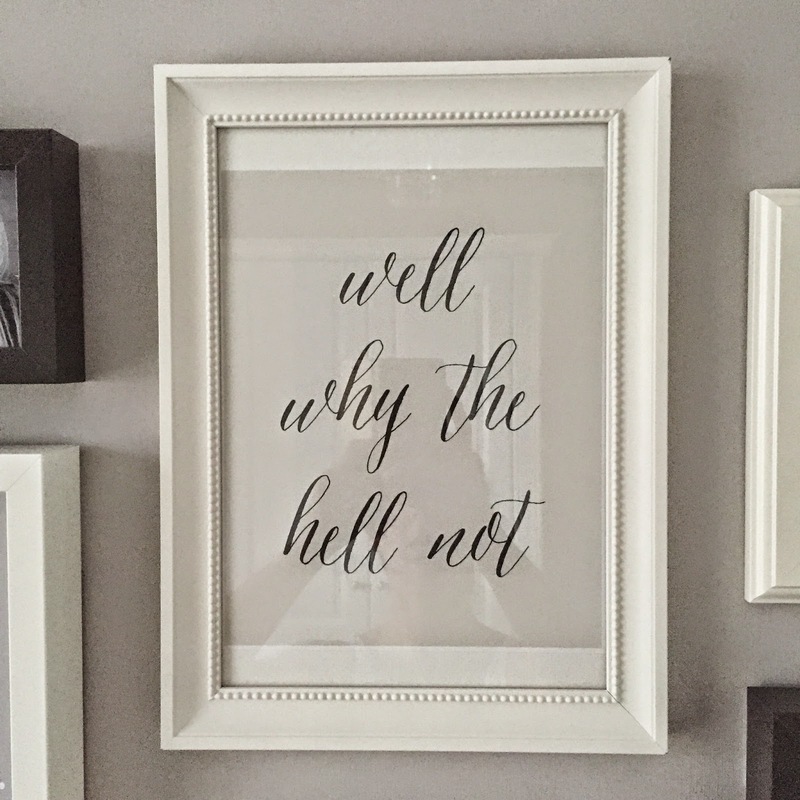 It's currently on my dressing room wall to remind me that sometimes in life you need to not take things too seriously! So, the much talked about Dior 'Lady' nail polish is up next.... When I was in Dubai a few months ago cruising around Dubai Mall with the lovely Stacey from Expat Make-Up Addict she was trying to hunt down this nail varnish, so of course I was intrigued! It seemed to have sold out everywhere (always a good sign) so when I managed to get hold of some at the airport I was thrilled. 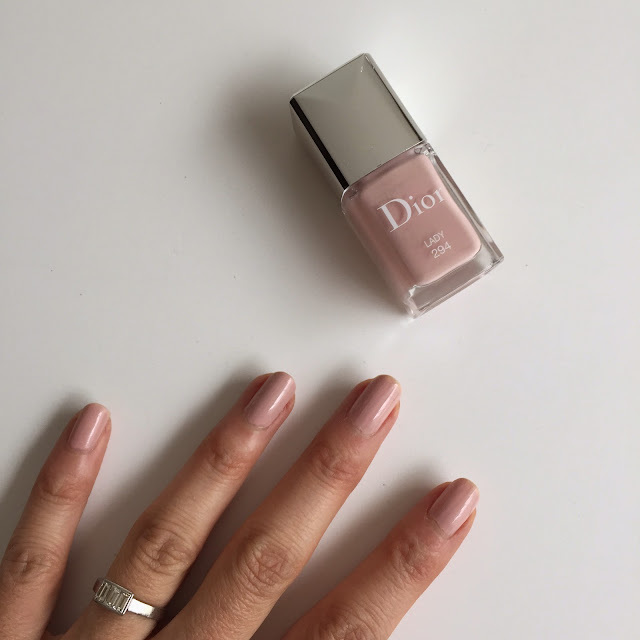 Such a perfect colour for Spring and as with all Dior polishes, applies beautifully. This is my third application in the last two weeks, so that should indicate to you how much I'm loving this at the moment! Lastly, whilst in Boots a few weeks ago and feeling a bit miserable I decided to cheer myself up with a little perfume purchase. The goal was to choose something a little 'different' to what I would normally wear and this certainly ticks that box in a major way. 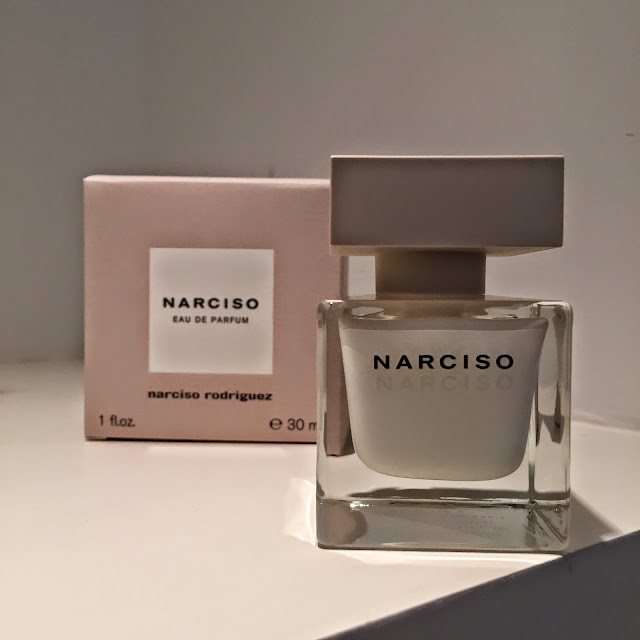 I don't normally go for sweet or musky perfumes and this has a hint of both. Now I'm not going to try to describe this perfume because I don't profess to be a perfume buff, but if you're looking for something feminine, a mix of musk and floral that last well and has a great bottle design to boot - this should be your next purchase! I urge you to go and check out Narciso Rodriquez - Narciso. Hope you've all had great weekends, what have you been loving lately? 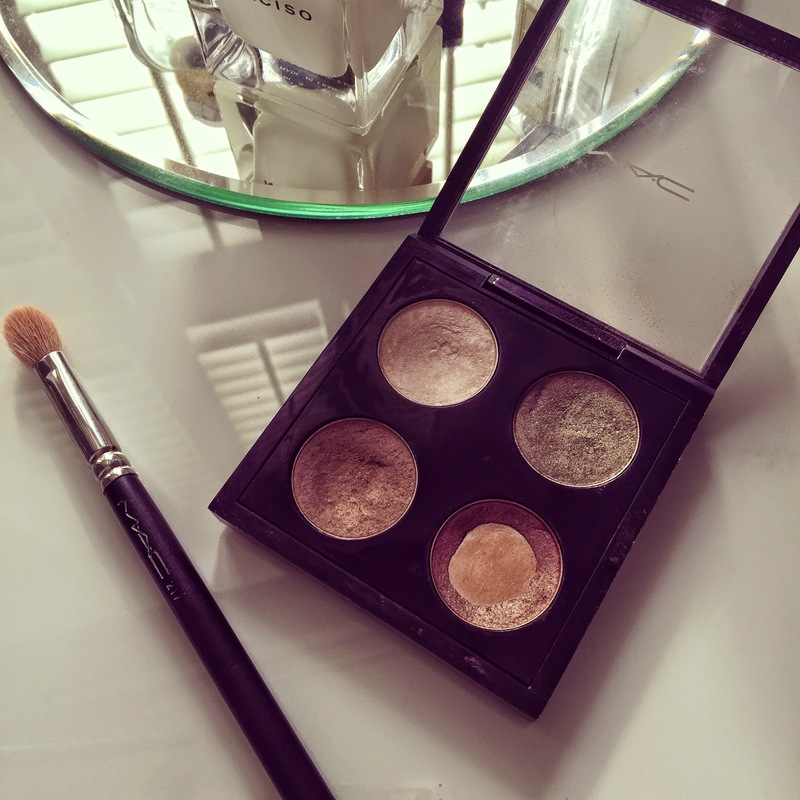 Ps the new CT cream eyeshadows are good too! !